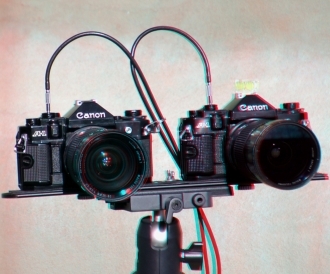 3D stereo image was a dream of every photographer. Today it's the fact and making 3D images has never been so easy. The principle is simple. Make two shots (for both eyes) and superimpose them in a computer. When cheap red-cyan glasses are worn, these independent images are transmitted to each eye and the viewer sees a Stereo 3D image. So, you don't need any special equipment like stereo camera. It's possible to make two images with one camera, but it's very uncomfortable. I recommend to use two digital cameras. 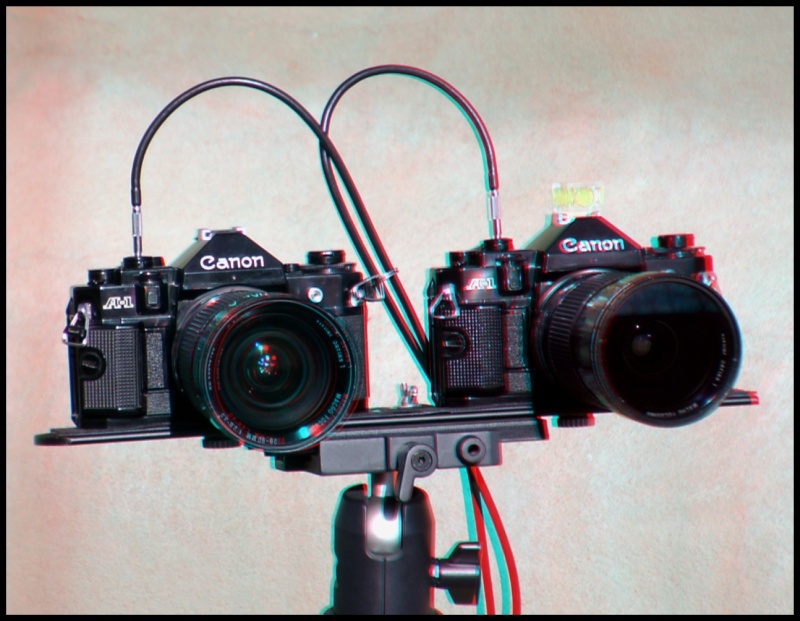 Great idea is to use infrared remote control or cable release for synchronisation.Then, you will need freeware software to make red-cyan 3D image - anaglyph. Create a 3D image takes three clicks of your mouse. Just load left image, load right image and make color 3D image - anaglyph. For viewing of 3D anaglyph you need 3D red-cyan glasses . Paper glasses are very cheap. You can get a pair of them for free at www.rainbowsymphony.com. Each eye see the world from a slightly different perspective. The brain fuses these two views together. Download freeware software - Anaglyph Maker. You can see three pictures on the screen-shot above - for left eye, right eye and a result. It's 3D anaglyph - real stereo 3D image.